My first experience with Teter Rock came on July 7th, 2012. I was visiting some friends who were camping at El Dorado Lake and I thought it would be a great evening to go exploring in the Flint Hills. As I had read about Teter Road a few years prior, I had wanted to visit for some time. I took the dusty road out of Cassoday, going up and down the hilly terrain before finally seeing the “Teterville and Teter Rock” sign. After a few minutes of driving the two rutted road through open terrain, I saw the figure of Teter Rock off in the distance standing tall over the surrounding hills. The sky that evening was phenomenal. I managed to plan my first trip out there during a beautiful sunset which also produced some typical Kansas summer weather! Lightning bounced off the surrounding hills with extreme force. 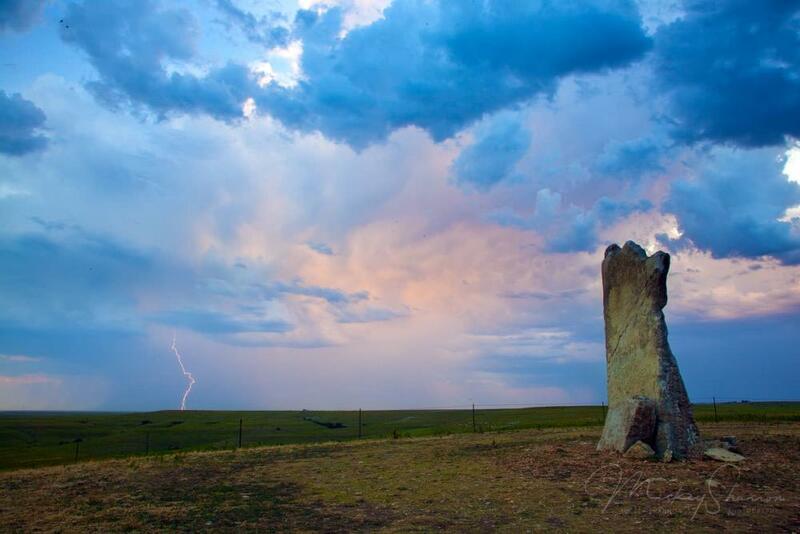 If you’ve never been out in the prairie during a lightning storm, it can be an awe-inspiring experience. I snapped a dozen or more images of the lightning and sunset-lit clouds before things turned more ominous. The sun finally dropped behind the horizon and the clouds turned very dark and moody. The lightning began crashing down much closer and the wall of rain was about to hit. I packed it up and got back to the main road just the deluge unleashed itself. 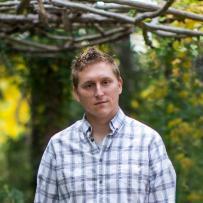 As a photographer, my first experience at Teter Rock was a monumental success! Getting to Teter Rock can be a bit difficult if you don’t know the way, but it’s not too bad with a little direction. Most people will be coming from the Kansas Turnpike. You’ll want to get off at exit 92, which leads you into Cassoday. From Cassoday, take the 1st Street Rd (also called NE 150th St) and head east. After half a mile or so, the paved road will turn to gravel. From Cassoday to the Teter Rock turn, it will be approximately 11 miles. The road also becomes known as Teter Hill Rd when you leave Cassoday. There will be a little sign on the right that says “Teterville and Teter Rock” just before the turn-off for Teter Rock. 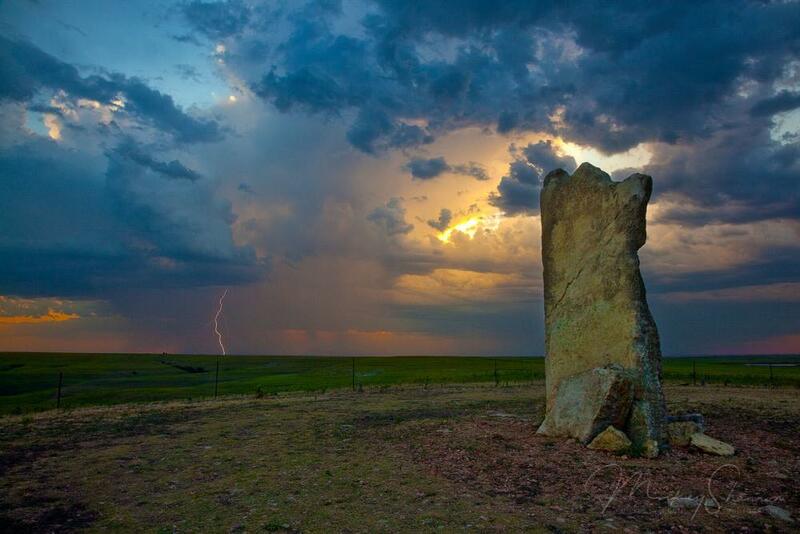 For more detailed directions coming from Cassoday, feel free to visit Kansas is Beautiful’s Teter Rock page. The current Teter Rock is actually not the historic Teter Rock. In the 1880’s, James Teter and his wife moved to a plot of land in Kansas to raise cattle. In the 1920’s, an oil boom saw the creation of the town of Teterville. The original Teter Rock was a pile of stones created as a monument to help homesteaders find their way. Before long, the stones were used to create houses in the area. In the 1950’s, the Greenwood County Historical Society created the current Teter Rock as a monument to the original. For more information about the history of Teterville, Teter Rock and the Teter family, visit this history of Teter Rock webpage. On any given day at Teter Rock, it’s possible you’ll run into the local population. That population includes the cattle that range on the land. It’s not impossible to find the cows already enjoying the views from Teter Rock when you pull up. Deer, coyotes, rabbits, birds and other types of animals all call the surrounding Flint Hills home. However, some of my favorite nearby animals are the mustang horses! While their exact location is never guaranteed, the wild horses out near Teter Rock can usually be found wandering around the hillsides below Teter Rock. In particular, I visited last September and found hundreds of them one hill over that provided some awesome aerial footage at sunrise with around 100 horses all gathering at the top of this hill. The experience of seeing them close up is pretty remarkable! Make sure to keep an eye out for them when you visit Teter Rock. 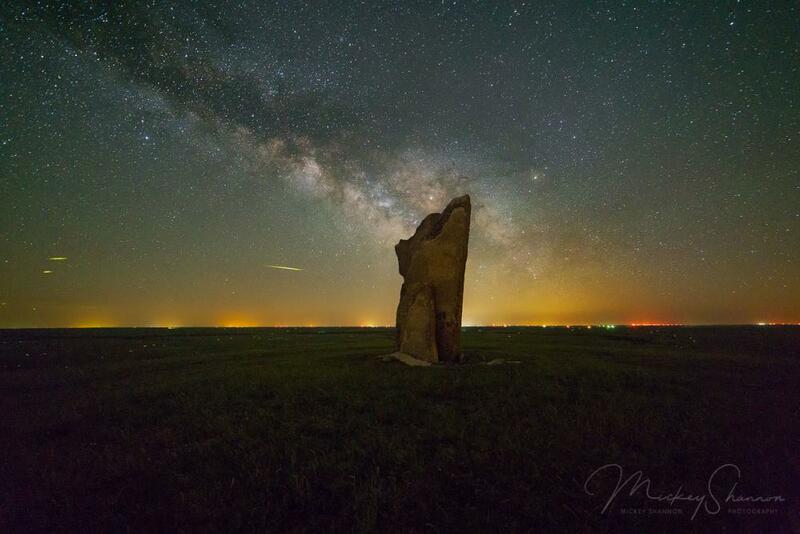 For us night photographers, Teter Rock represents one of the best places to shoot astrophotography in all of Kansas! The skyline stretches for miles and while not perfect, the light pollution isn’t too bad. If you show up on a night with a meteor shower such as the Perseids you’re likely not going to be alone either! It’s a wonderful place to watch a meteor shower and everyone knows it! One of my favorite things to do is set up my camera for a set of star trails or Milky Way images, sit back in a lawn chair and listen to the sounds at night. A calm silence that seems to be at perfect unison with the stars is only broken when the nearby coyotes start yipping and howling as they’ve found something to chase. On occasion a few of the nearby horses might whinny as well. But most of the time, there’s a peaceful silence to match the heavens above. If you’re making the trip out to Teter Rock, you might as well hit up another awesome spot in the area. Texaco Hill is one of my other favorite locations in these parts. As you head east, if you skip the turn to Teterville and Teter Rock and continue down the steep hill for another quarter to half a mile, you will come up to a four way intersection. You will want to turn left down the unimproved and unmaintained road. 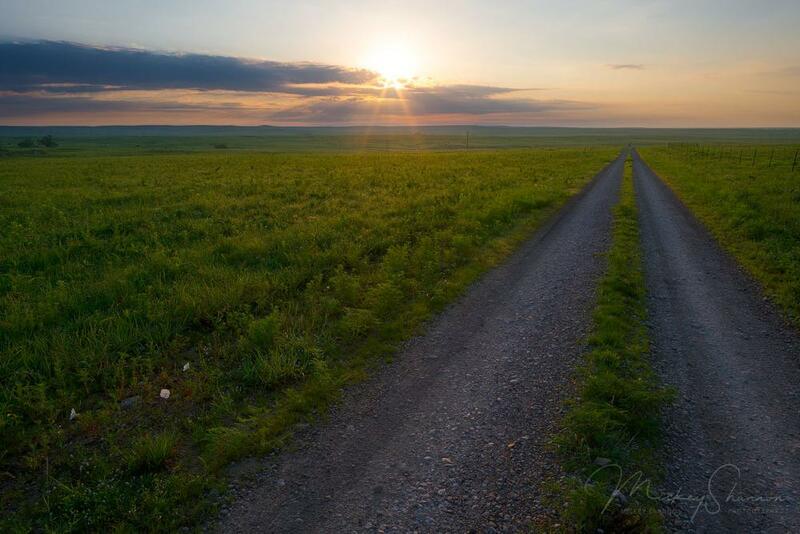 This road can be a little rough in spots and has been known to pop some tires in the past. Be sure to have a spare tire, just in case. It probably wouldn’t be a bad idea to have a spare tire when visiting Teter Rock either, as the short mile drive in open range land can have some bumpy spots as well. The drive up to Texaco Hill is a beautiful open range road where it’s not uncommon to have to stop and let the cows cross. There are multiple creek crossings as well. And the views are pretty nice! After curving back and forth for a few miles, eventually the road starts gaining elevation. When you arrive at a T in the road, turn left and park near the oil rig. You have arrived! Enjoy, as the views from here are some of the best in all of the Flint Hills! For a detailed map to Texaco Hill, visit the Kansas is Beautiful Texaco Hill page. Since that first visit to Teter Rock on a stormy summer evening, I’ve been back a dozen or more times for numerous reasons. 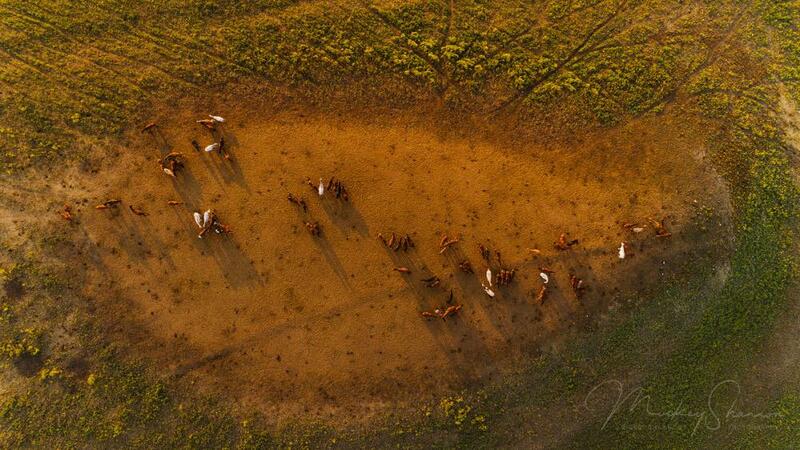 From trying to capture some images of the horses to multiple outings to shoot night photography to just heading out that way to enjoy the beauty of the Flint Hills, there’s really no season that’s bad at Teter Rock. My absolute favorite experience has to be the time I proposed to my now-wife under a starlit sky on a late July evening in 2013. I’ve even hiked to Teter Rock in the snow when the road was unpassable for a normal car after the cattle gate. Whether you visit in spring, summer, autumn or winter or if you’re visiting at sunrise, midday, sunset or under the stars, Teter Rock is a true Kansas classic location worth exploring!